Showing recent results 16 - 30 of 265 products found. Particle Insight - Vision Analytical Inc. The Particle Insight is a state-of-the-art dynamic image analyzer that is ideal for applications where particle shape, not just the diameter, is critical information for predicting raw material performance. The fully automated Particle Insight is well suited for use in a full production environment where speed, accuracy, and ease of use with Pass/Fail shape control limits can be set. APM 3602 - KANOMAX USA, Inc. Particle size distribution measurement is normally used in order to measure nanosized particle distribution. While Differential Mobility Analyzer (DMA) classifies particle by particle size utilizing electrostatic force, APM classifies particles by mass based on entirely new classification principles. 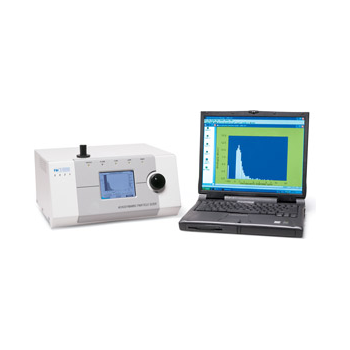 We can offer you a wide range of dust particle analysers to suit your needs. 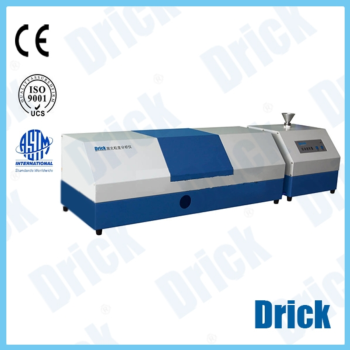 Dust particle analysers are Professional Dust Particle Analyzers. used increasingly everyday in environmental measurements, factories and offices to detect the concentration of dust particles which workers are subjected to. Such dust particle analysers are also used in industrial research and development or in industrial or educational clean rooms. 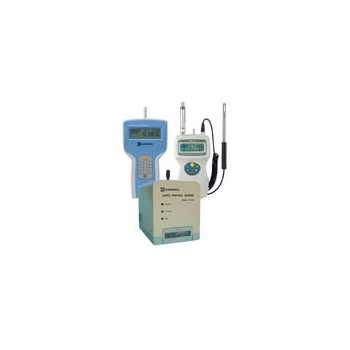 Dust particle analysers Kanomax series are able to aspirate air in order to check the amount of particles. 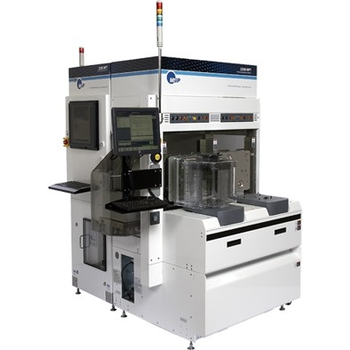 Leading-edge microelectronic processes require very clean process chemicals that are highly filtered and regulated to a particle size of 20 nm or below. With 20 nm particle sensitivity, the new PMS Chem 20 Chemical Particle Counter is the world''s most sensitive particle sensor for high purity process chemicals. Sensitivity range: 40 - 125 nm. 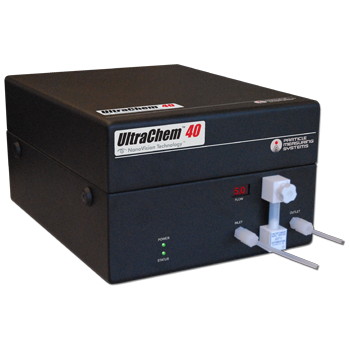 The UltraChem 40 Liquid Particle Counter gives you reliable contamination monitoring with the ability to detect the smallest particle possible. 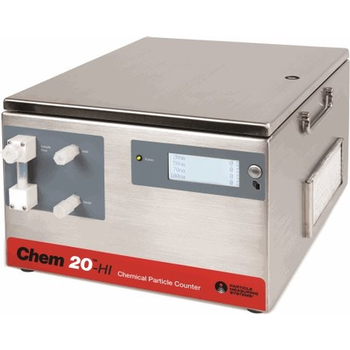 If your application requires measuring small particles in chemicals with high molecular scatter, the UltraChem Liquid Particle Counter is the best tool for the job. DRK6160 - Shandong Drick Instruments Co., Ltd. Using the whole range of Mie scattering theory，Fully consider the measured refractive index and optical properties of particles and the dispersing medium, according to different size particles in the change of Angle scattering intensity on the performance of particle group of particle size distribution data. Magnetic particle liquid checker S-2 series is a test bar which can directly check the quality of magnetic particle liquid immediately. Magnetic particle liquid checker S-2A type has a sensor at the head of straight test bar. 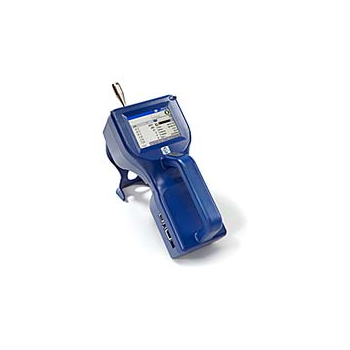 The TSI AEROTRAK™ Handheld Particle Counters offer the most features and flexibility for customers interested in low cost and versatile particle contamination monitoring. 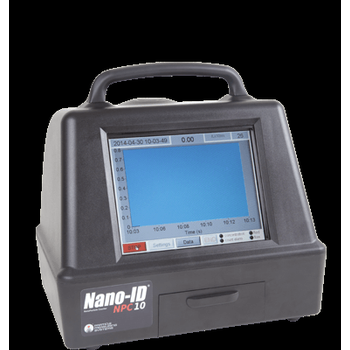 The Nano-ID NPC10 Nano Particle Counter is the first condensation particle counter specifically developed for ultra-clean manufacturing environments. 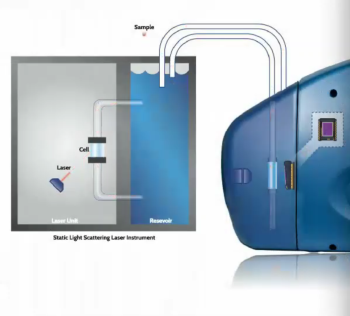 It provides meaningful data fast by introducing fluid to capture even the smallest particles. 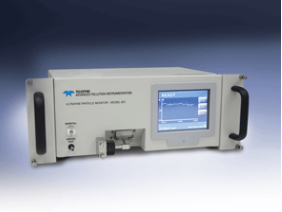 This instrument combines 10nm sensitivity with a high sample flow rate and the lowest zero count specification on the market. 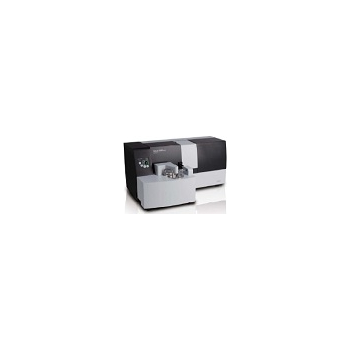 Spectrometer 3090 - TSI Inc. 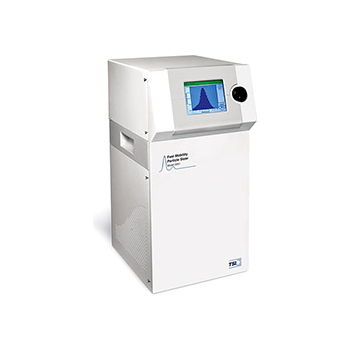 The Engine Exhaust Particle Sizer 3090 (EEPS™) spectrometer measures the size distribution of engine-exhaust particle emissions in the range from 5.6 to 560 nm with the fastest time resolution available. Users can visualize and study the dynamic behavior of particle emissions that occur during transient test cycles, during the first few seconds of a cold start, or during regeneration of a particle trap or diesel particulate filter (DPF). Spectrometer 3321 - TSI Inc. 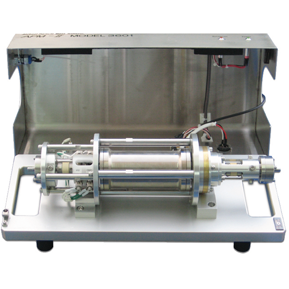 The Aerodynamic Particle Sizer® 3321 (APS™ spectrometer) provides high-resolution, real-time aerodynamic measurements of particles from 0.5 to 20 microns. These unique particle sizers also measures light-scattering intensity in the equivalent optical size range of 0.37 to 20 microns. By providing paired data for each particle, the APS spectrometer opens up exciting new possibilities for those interested in studying the makeup of an aerosol. 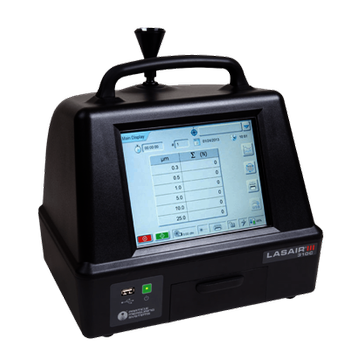 Sensitivity range: 0.3 - 25.0 m. The Lasair III Particle Counter sets the standard for portable aerosol particle counters and meets the requirements of ISO 14644-1:2015 and ISO 21501-4. The Lasair III Aerosol Particle Counter is designed for cleanroom work with your unique needs in mind. It sets the standard for portable aerosol particle counters in highly regulated environments, so you can make sure your environment is clean. 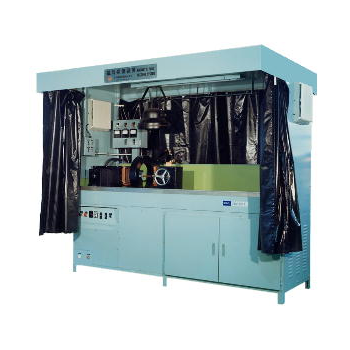 2300-1 and 2300-2 Particle Deposition Systems (PDS™) are the latest, most advanced particle deposition tools from MSP for creating polystyrene latex (PSL) sphere size standards needed to calibrate KLA-Tencor, Applied Materials, TopCon, Hitachi and other wafer surface inspection systems. The new NPT (Nano Particle Technology) tools provide:True 20nm deposition capabilityUp to 12 different PSL sphere sizes and up to 50 different spots of particles in a single recipe±2% particle size accuracy for particles >50nm and ±1.0nm for particles < 50nmFull deposition and pattern deposition (spot, arc, and ring) while retaining all the desirable features of the popular 2300 tools:Differential mobility analyzer (DMA) technology for accurate particle sizing and size classificationAutomated NIST traceable calibration routineRecipe controlDeposition of Process Particles (Si, SiO2, Al2O3, TiO2, Si3N4, Ti, W, Ta, Cu, etc.) as well as PSL spheresThe 2300N-PT1 requires manual wafer loading while the 2300-NPT2 has automated wafer handling including dual FOUP load ports and an ISO Class 1 mini-environment. Bridge tool options for handling 200 and 300mm wafers are available. Please contact factory for more details.